We held our first Saint Martin’s feast in 1994 and since that time it has been one of the most important events in in our restaurant. Along with the traditional goose dishes and the decorative accessories – including the living goose at the entrance that’s gaggling at the incoming guests – our aim is to enhance the joyful moments of the feast. 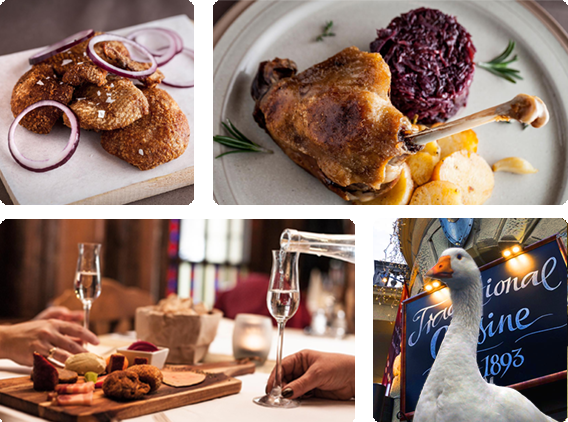 Along with this great feast in which you can taste our goose dishes made of fattened geese bred at small-scale producers – the Hungarian wine-growers introduce their fresh wine too. According to a saying, if you don’t eat goose meat this time, you’ll be starving all the year and if you don’t drink wine you’ll suffer a perennial thirst too. During the Saint Martin’s feast table reservation is highly recommended due to the fact that we have restricted housing capability. 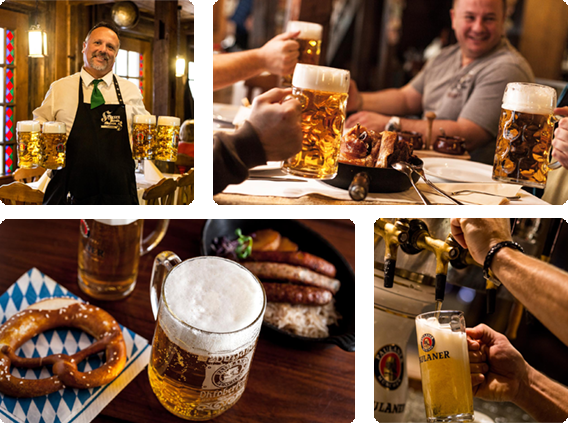 When the autumn sets in we organize events that recalls the feelings and mood of the Munich Oktoberfest. We serve you with original Paulaner Oktoberfest draught beer delivered right from Germany but we also provide Bavarian pretzel and pork knuckle (haxen) grilled by charcoal wood and served with delicious Bavarian cabbage. Music is provided by a Schrammel band of which the members wear traditional Bavarian clothes and so do the waiters of the restaurant by establishing the real Bavarian atmosphere. For your wish we can undertake the establishment of Oktoberfest in offsite tents from100 to 1000 members. 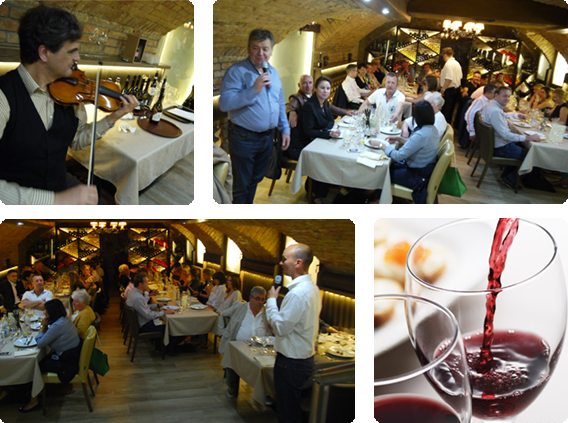 We organize several wine dinners every year in which we introduce Hungarian wine specialities and the winemakers either. Among our guests we have entertained Ferenc Takler, Attila Gere, József Bock and István Szepsy. Along with widely popularizing the domestic wine specialities we try to focus on creating new tastes and new dishes that comfort to present day’s expectations. However we are keen on sticking to the preservation of the traditional values in which we emphasize the Hungarian raw materials. When making your reservation it is important to know that we organize our wine dinners in our banquette hall that is capable of attending a maximum of 50 people at once.